The Woman of the Year event is held annually in March to celebrate Women’s History Month. State senators and assembly members recognize women who are making a difference in their communities. 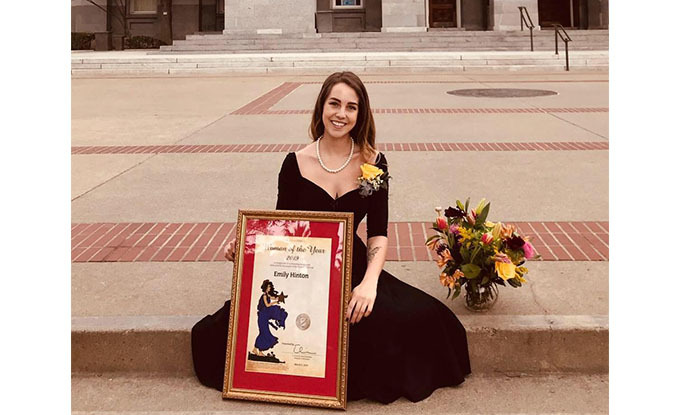 Hinton, one of the CSU's two student trustees representing the nearly 500,000 CSU students, was recognized by Lieutenant Governor Eleni Kounalakis. Other CSU leaders honored were university Presidents Erika D. Beck of California State Channel Islands, Dianne F. Harrison of California State Northridge and Mary Papazian of San José State University. Hinton has served as the president of Associated Students and is in her final semester of receiving a dual B.A. in philosophy and political science.